Happy Teenager Is Laughing And Jumping Up. Teen Girl In Spring Blossoming Garden. Teenager And Blossoming Cherry Blossoms. Spring And Youth Concept. Lizenzfreie Fotos, Bilder Und Stock Fotografie. Image 104421230. Standard-Bild - Happy teenager is laughing and jumping up. Teen girl in spring blossoming garden. Teenager and blossoming cherry blossoms. Spring and youth concept. Happy teenager is laughing and jumping up. 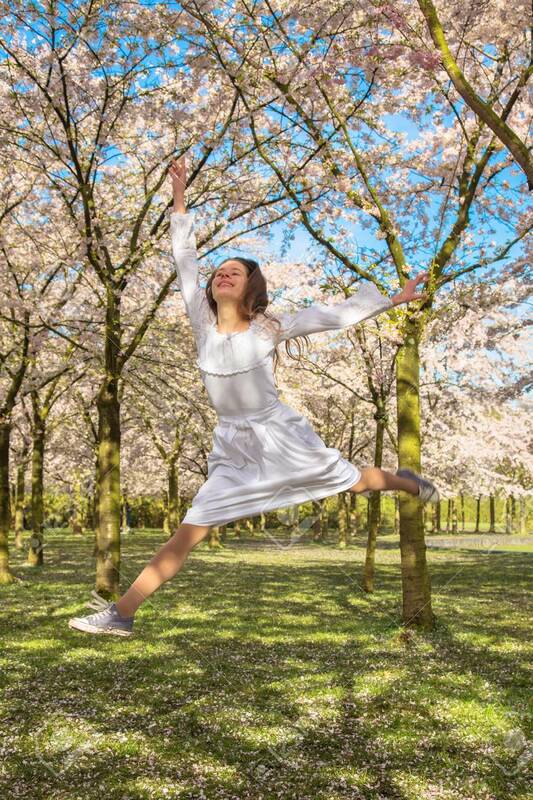 Teen girl in spring blossoming garden. Teenager and blossoming cherry blossoms. Spring and youth concept.